This week’s BotW is another forgotten Golden Age crime novel which has been republished by the British Library. I picked this up at the book barge on Regents Canal, but it’s taken me a couple of months to get around to. 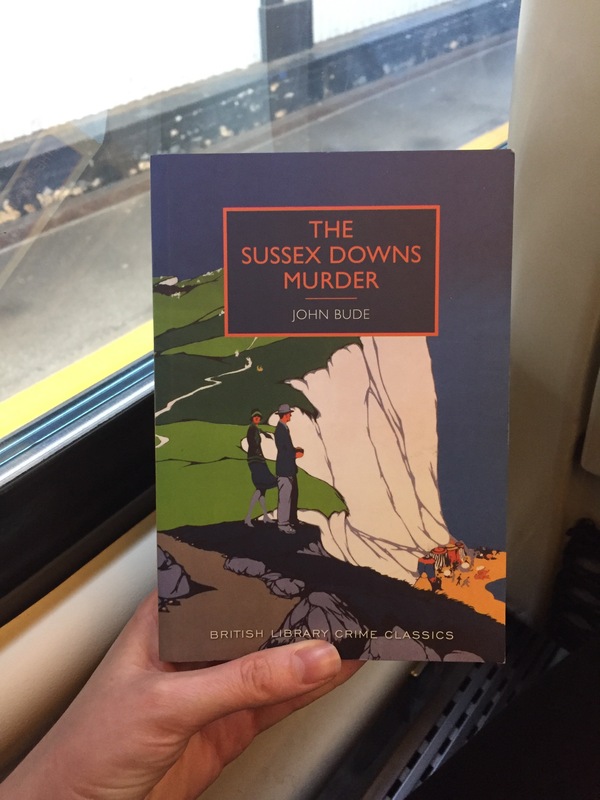 The Sussex Downs Murder is the second story to feature Superintendent Meredith – there are a load more, and I already have another waiting for me on my Kindle now that I’ve read this. Yes, I admit it, I read it on the train. Its such a useful handbag size! John Rother and his brother William live and work together at a farm in the Sussex Downs. One night John leaves for a holiday and disappears, leaving his car and some worrying blood stains. Has he been kidnapped? Is he dead? Whatever has happened, William falls under suspicion as rumours had been circulating in the village that his wife was getting rather too friendly with John. Superintendent Meredith is called in to investigate, but events soon take a macabre turn when bones start turning up. If you’ve read a lot of detective novels, you may suspect the solution to this one rather earlier than Meredith does, but it’s still a really enjoyable read. I suspect at the time, the solution would be a big gasp-inducing moment, but because there’s been 80 years of crime writing since, you may have come across plots like this before. It is a really well written and well crafted mystery, with plenty of interesting characters and lots of twists and turns. And if you’re a fan of Golden Age mysteries, it’s well worth reading because it has exactly the sort of vibe you get from a Sayers or a Christie – not too creepy, but totally engrossing. I’ve read quite a lot of these British Library Crime Classic reissues and I’m struggling to think of one that I haven’t enjoyed. I’m always watching out for them, and I suspect that this will continue to be the case. It’s £2.99 on Kindle at time of writing, which is a bargain, or £1.89 on Kobo which is an even bigger bargain, but is for a slightly different edition. You should be able to get order the paperback from all the usual sources too.